May Mitchell serves as Vice President of Worldwide Field and Channel Marketing at Cylance, leading programs responsible for driving new business growth and customer retention through the partner ecosystem and sales channels across all customer segments and verticals. 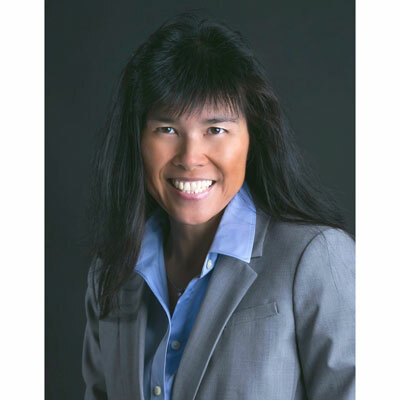 She brings to Cylance over 20 years of go-to-market, channel, and sales expertise in cybersecurity, cloud, mobile, and infrastructure solutions targeting Enterprise and SMB markets developing and selling with partners from Symantec, IBM/MaaS360, McAfee, Websense/Forcepoint, IronKey and Computer Associates. May has been involved in over 20 successful mergers and acquisitions and 150 product launches, many of which included developing cooperative strategic alliances with Microsoft, Cisco, RSA and IBM. She was recognized as one of the top 100 Women in the Channel in 2010-2017, and Channel Chief in 2011 & 2012 by CRN. At Cylance, I drive global awareness and demand programs to customers by leading field marketing teams who plan and execute with our partner community. As part of the Cylance Channel Program, my team and I deliver valuable campaign elements and incentives that are leveraged for demand creation. Partners are provided with campaigns (customer conversations) that are tied to a business and/or technical buyers journey. The integrated marketing programs include call scripts, webinars, digital amplification, targeted account-based marketing, customer roundtables, industry associations and events. As we prepare for the new fiscal year beginning May 2018, our channel goals are centered around enablement and demand generation to drive growth in product and services sales. Demand generation programs will be targeted by customer segmentation and tied to their buying behaviors. We will continue our regular cadence of communicating and planning with partners to ensure they are leveraging Cylance content to propel their business growth. Additionally, we will continue to work closely with our distributors and alliance partners to recruit and enable partners in strategic international locations. During the recent presidential election, Michelle Obama's DNC speech provided an inspiring message that resonated with me and my girls. Her message regarding change and opportunity is so relevant in today's world: change is a constant and the world has definitely changed, but many organizations are struggling to keep up with the changes. We need to embrace change, see it as an opportunity, and take the leap of faith. As parents, we need to continuously provide good values for our children, educate them on endless opportunities, and create the support environment in which they can achieve those goals. I had a great childhood surrounded by a supportive family and network of friends. Actively participating in team sports helped me develop important leadership skills. Here is some advice for young women getting started in their careers: Get involved and engaged - develop your skills by exploring various clubs, sports, and leadership programs. Internships - expose yourself to the people and roles in an organization through real world projects. Identify and develop mentors and sponsors - build trust with your mentors who may provide you with guidance. Sponsors are people who sell for you when you are not present. If there is an ideal job for me (outside of my current work life), it would be the head coach of a sports team. I grew up playing team sports and enjoyed being part of a successful initiative with a sense of purpose, surrounded by people who have the same discipline and passion to win. Winning well and earning it gives me my self-motivation. I really enjoy reading business leadership and motivational books, and one of my favorite books in that genre is "Outliers, The Story of Success" by Malcolm Gladwell. The book offers stories of people who rose to success, with a focus on the unique benefits of their cultural and family backgrounds. It is up to us to identify those opportunities and embrace our own cultural legacies to learn, work hard, and discover our own extraordinary skills.